I was so psyched to post about my trip to gorgeous Covent Garden in London but in the week since I’ve been back life interfered. It has a way of doing that but lately it’s mostly all good stuff. I’ve been hard at work as we near the end of January and a lot has involved things perfumery-related. I’m very excited about what’s next. As I mentioned in my last post, I went to London to learn more about the actual business of perfume from perfumer, consultant, author and truly inspiring speaker, Karen Gilbert. Drawing from her background of working inside the fragrance industry (she worked as an evaluator at IFF and product developer at Neal’s Yard Remedies) as well as having run a successful retail business, she shared her insights and tips in an engaging and candid way. It was an intimate group of eight who attended her no BS two-day course. For me at least it was worth every pennypound. If you’re even thinking about starting your own perfume business and want to learn how to go about it as well as what NOT to do, I’d highly recommend checking out one of her workshops. Being in Covent Garden, I was struck at how much London reminds me of New York. Heads down to avoid any potential eye contact, rushing if not jaywalking (or both), a plethora of high-quality restaurants of every ethnic type imaginable and great shopping. They are also both wildly expensive so it’s probably a good thing my visit was a short one. I did manage to squeeze in some perfume shopping during my brief visit. Covent Garden is known for being one of THE BEST areas in London for this. You can shop ‘til you drop. 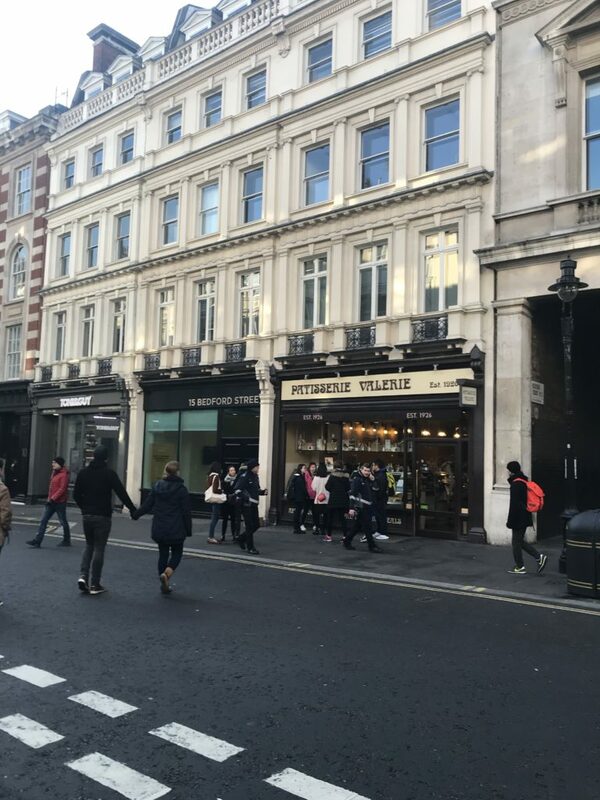 Miller Harris, Penhalligon’s, Le Labo, Atelier Cologne, Jo Malone (of course), Diptyque and Floral Street were all just a hop, skip and a jump from each other. Lucky for me, they were also literally within a couple of blocks from my hotel. Granted, we have them all in New York (minus Floral Street) but it’s ALWAYS a treat to spend time in any of these boutiques. Any perfumista knows exactly what I’m talking about. It just never gets boring. 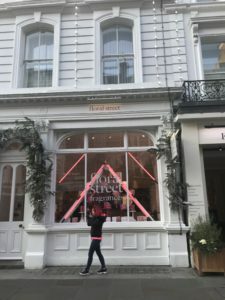 I was especially impressed by newly-opened Floral Street, an Insta-friendly treasure trove of sensory delights. According to the adorable Scott, one of the apron-clad FLORISTAS running the shop when I visited, they are hoping to open a boutique in New York sometime soon. I left the shop happily armed with a travel-size bottle of the captivatingly exquisite London Poppy inside an eco-friendly box. A review on that to follow soon so stay tuned! If you do find yourself in Covent Garden and are looking for a place to stay, you should consider Z Hotel Covent Garden. You can’t beat the location and I was able to snag a fantastic rate on Booking.com. It’s new, exceptionally clean and the staff is super friendly and accommodating. They managed to remain extremely courteous when I did a minor rant Day 2 about having no hot water in my shower. It turned out to be a technical difficulty on my end but no need to go into that. My room was only slightly larger than a shoe box but New Yorkers are used to that. I really didn’t expect anything larger for what I was paying plus my room actually had a real view. Another plus about staying here is that they do a daily complementary wine and cheese from 5:00 – 8:00. It’s actually a nice selection too. I tried to leave a tip the first night and my waiter actually seemed confused/insulted and kept insisting that it was complementary. In terms of restaurants, I’d really recommend Frenchie Covent Garden. It has an elegant Parisian spirit but is also refined and relaxed. Loved and my dinner was amazing. Another really nice spot for lunch or dinner is The Ivy Market Grill. It also checked all the boxes.